Casual fans know him better by his earth names, Superman/Clark Kent. 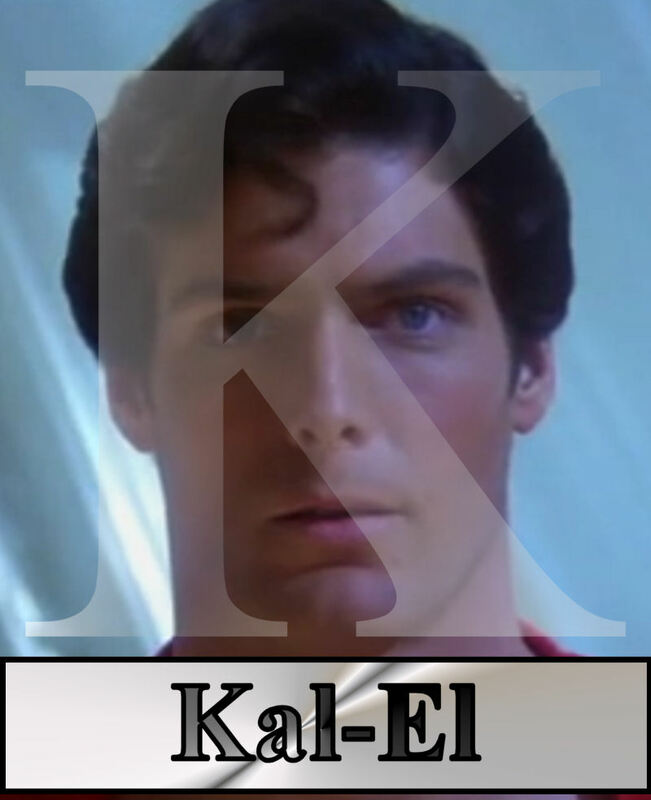 Kal-El is the Kryptonian birth name of the Man of Steel. Really, I'm cheating on this one, using "K" for Superman to accommodate some other heroes on this list. Superman is one of the highest-profile superheroes in my Superhero ABC's; his creation ushered in a new breed of comics and heroes. Often imitated but seldom topped, he's the embodiment of the "flights and tights" school of superherodom, a 1930s creation who has endured into the 21st century with the ideals of "truth, justice, and the American way." He embodies virtue and goodness, and can be a bit of a Boy Scout. Thanks to his upbringing in Kansas by his adoptive parents, he also brings a dose of Midwestern common sense. Superman has given us one of the first truly great comic book movies (Richard Donner's iconic Superman from 1978) and a truly memorable "event" storyline (the Death of Superman saga from 1993). The hero possesses numerous abilities, ranging from flight to super-strength, X-ray vision, and (in most cases) invulnerability. He is susceptible to magic attacks, but his biggest weakness is to Kryptonite, crystalline debris left over from the destruction of his home planet. Tomorrow: Damsel in distress by default. Feisty by nature.